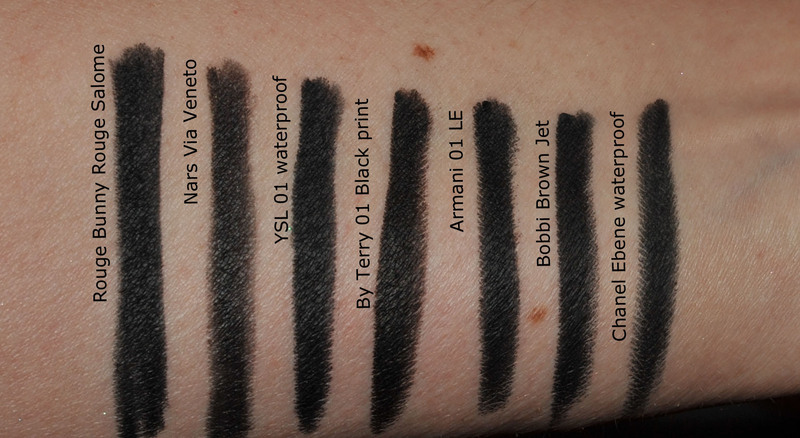 The quality is much better than a Chanel or a Dior waterproof, they are creamier and more long-lasting but the colors are not that unique to me and you can find similar colors out there at a cheaper price. 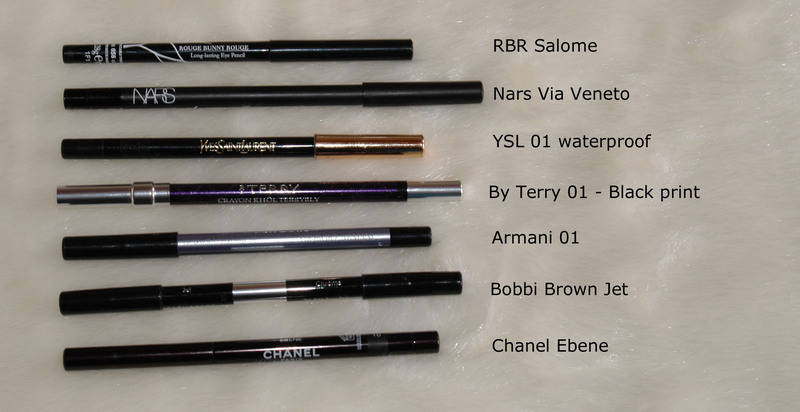 If you missed the Spring 2011 Armani collection where Armani launched the amazing LE eye pencil in 01 Black, then this RBR Salome is the best alternative I found. Either applied as a line or smudged, the color and result is very similar, I don’t really see a difference at all. 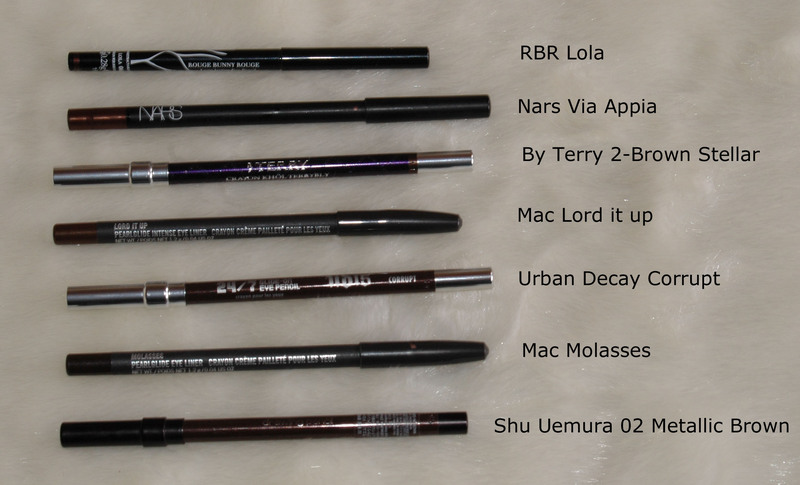 The below alternatives are all long-lasting on my eyes, but some are less intense and less creamier, like Nars or Chanel. I tend to reach more for the Nars than the RBR Lola, they are both very long lasting on my eyes, but I prefer the color of the Nars Via Appia. 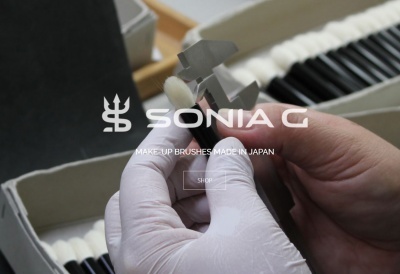 I think these are very good quality eye pencils, but too expensive. Sometimes you can find Zuneta coupons that will give you 10 or 20% discount, then the price gets a little bit better… I got them with a 20% coupon last February on the Zuneta web site. 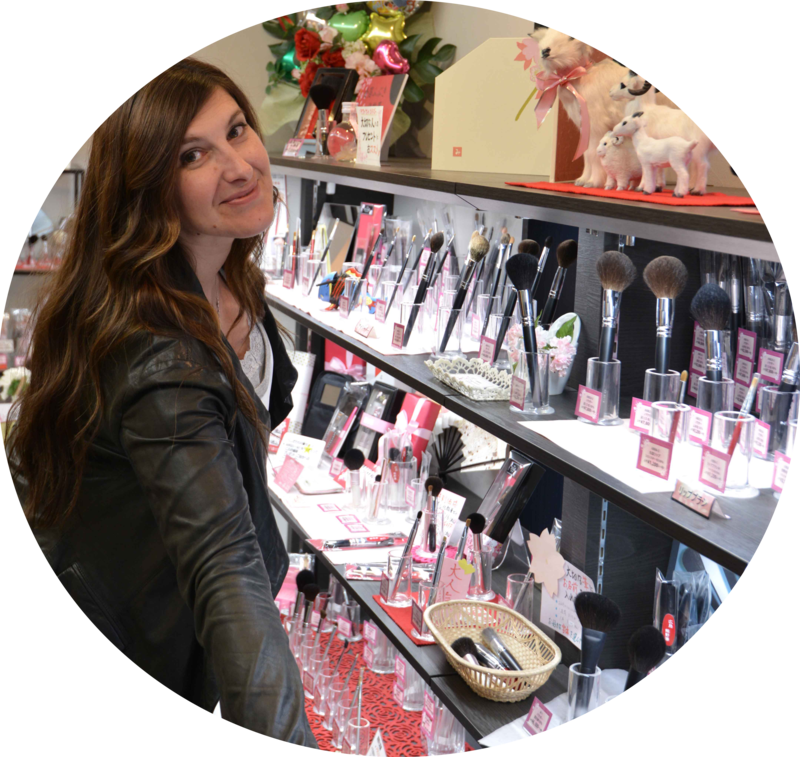 Depending on where you live it can be cheaper to get a Rouge Bunny Rouge eye pencil, for example if you want to buy a Chanel pencil in Switzerland, it will cost you much more than ordering an RBR pencil from Zuneta, so for me, it’s cheaper to buy RBR. 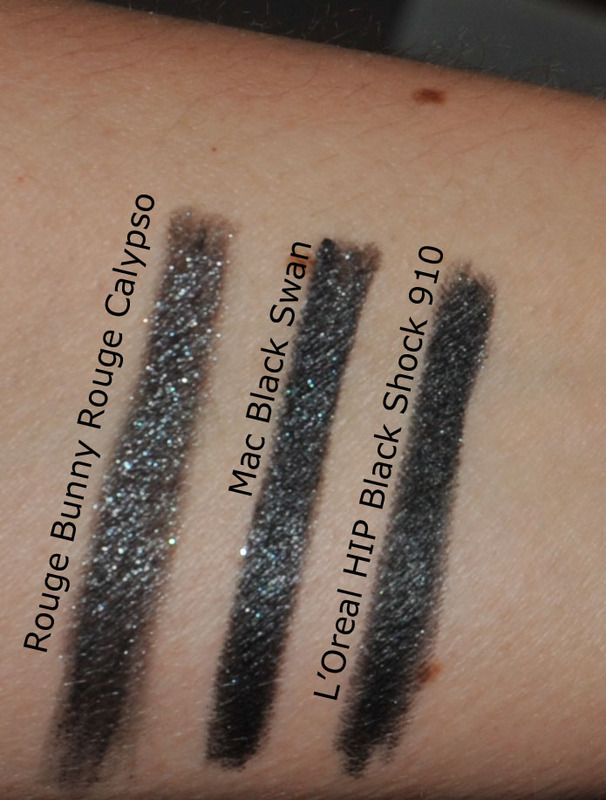 Rouge Bunny Rouge should create more colors too, I would love more unique colors with this quality, like a pencil color similar to their Abyssinian Catbird or Delicate Hummingbird eye shadows, that would be amazing !!! 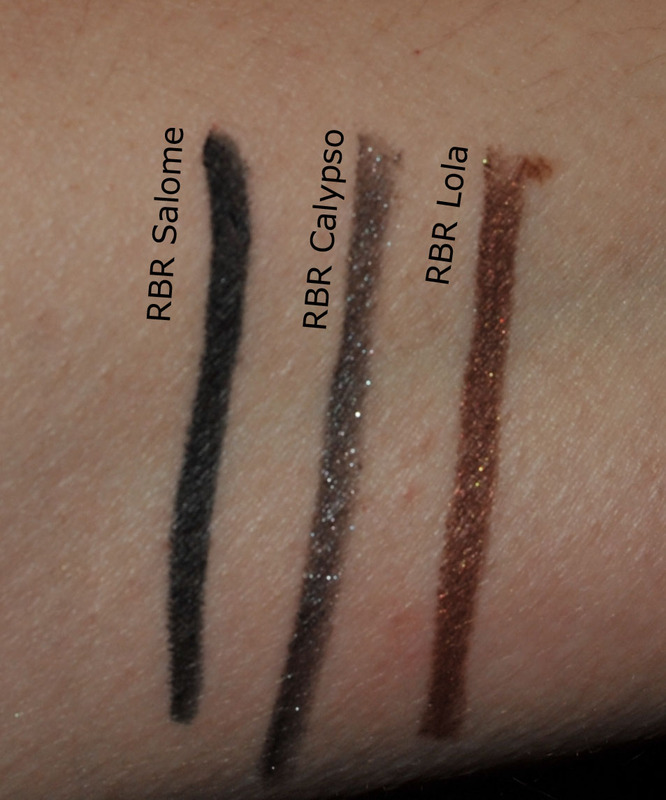 Rouge Bunny Rouge – Feline Gaze long-lasting eye pencils was last modified: August 4th, 2013 by Sonia G.
Wow, this really helped narrow down the choices for me, great post! Btw, what items from RBR would u recommend for someone who has never shopped RBR? 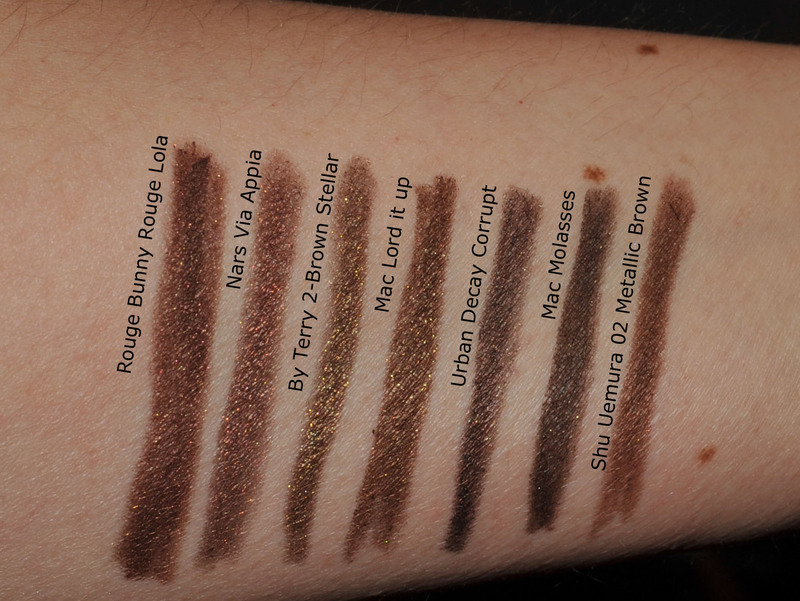 I will post swatches of those as well in the short future !